Light up their faces with the prospect of egg nog, cocoa, and other seasonal delights when you use the Holiday Lights Drink Tickets at your next seasonal event. Start your celebration off the right way with colorful ticket templates that feature room to upload your own image on a background full of pink, green, yellow, and orange orbs of light. 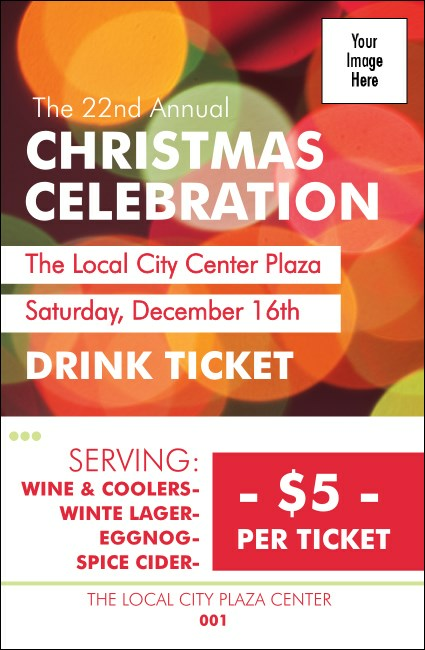 TicketPrinting.com will help you fill your guests with their favorite holiday spirit.